MEMBERS: Number one and life member Roy Dunn and Chairman of the Leagues Club and Group 2 President Warren Gilkinson. THEY came from all over town to celebrate 25 years of the Coffs Harbour Leagues Licensed club just before from Christmas. "We didn't get a lot from out of town but it's a busy time of year," Club Secretary Manager Jody Dahl explained. "We always have an Old Boys day through the year - usually in July - when everyone can catch up." 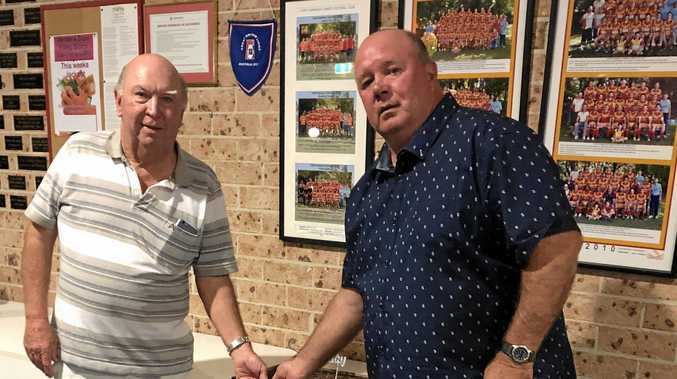 Jody said the birthday celebrated all the hard work, raffles and working bees it took for the Coffs Football Club, which had been going for more than 25 years at the time, to finally have an official home ground and club house. It was also a chance to celebrate a successful season on the field with the Comets winning the Group Two A grade title and making the finals in two of their three other grades. One of the main guests of honour at the party on Friday, 14 December was club patron Maisie Miller, 92. Although never having relatives play for the club, the diminutive Maisie is one of the club's staunchest supporters according to Jody. "She comes to watch rain, hail or shine and supports the footy team," she said. "In the old days she use to sit there and crochet blanket squares and make pillows in the club colours to raffle. "She worked in the canteen before that." 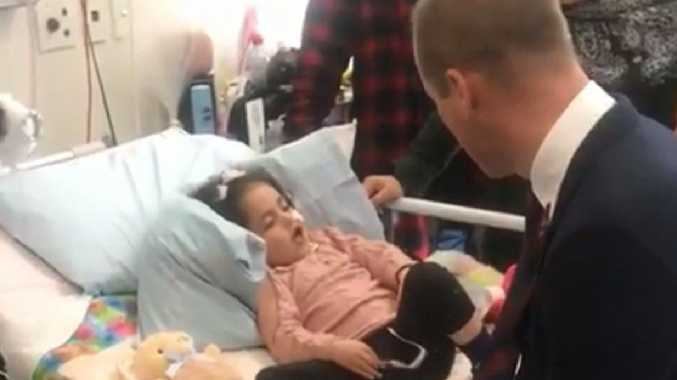 Maisie was centre stage at the event in a crowd that included Senior League's President Steve Gooley, Number one ticket holder and former secretary/manager Roy Dunn and Group Two and Leagues Club head Warren Gilkinson.